Boston is the largest city in New England. It's the capital of the state of Massachusetts and it is a very historic and important place in the United States. The city has a wide variety of historic sights throughout, and there is no shortage of activities and events that visitors can enjoy regardless of when they visit. Boston attracts over 16 million visitors every year and it remains one of the most visited cities in the country. Boston also has a large number of universities both in or near the city. These include Harvard and MIT among many others. The universities keep the population young, and there are many bars and clubs where you can fill your evenings. If you're looking for an affordable and fun place to stay, a hostel might be a good option in Boston. Although there are not a large number of hostels in the city, there are a few that make a good option for backpackers and budget travelers. 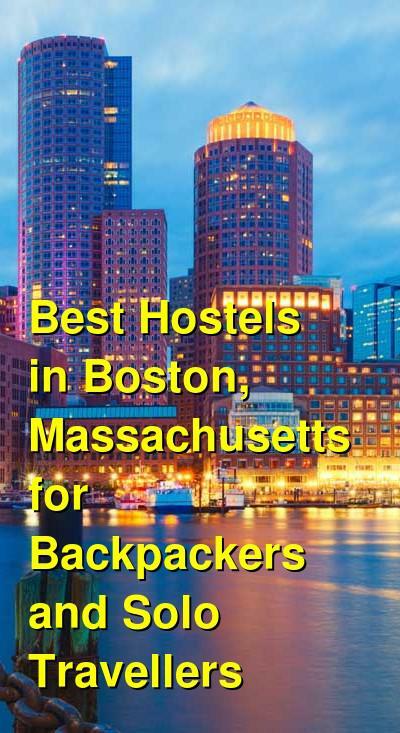 How much do hostels in Boston cost? 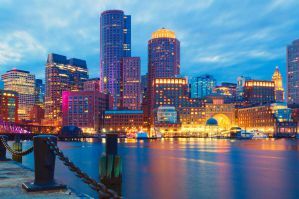 HI Boston first opened in the downtown area in 2012 and it has quickly grown into one of the most popular and well reviewed hostels in Boston. It's centrally located near everything you might want to see or do and it is about a ten or fifteen minute walk from many of the area's top tourist attractions. It's also easily accessible with public transportation. The hostel is well designed and has a lot to offer visitors. The hostel has common space that includes a pool table, a television room, and a large kitchen which guests can use to prepare their own meals. There's also laundry facilities available, free wi-fi throughout the building, and a complimentary breakfast that is served every morning. In the lobby you'll find coffee and baked goods all day long. This is a fun and social hostel and guests can enjoy any number of activities or events. It's a great way to meet other travelers and make a few friends while you're in the area. The hostel has dorm rooms that sleep four, six, seven, or eight people. Female only, male only, and co-ed rooms are all available and each bed has its own reading light, power outlet, and security locker. There are also private rooms available with en-suite bathrooms and televisions. Abercrombie's Farrington Inn is actually a small guesthouse that has both private rooms and dorms available. Dorms are only available during peak season. Private rooms include singles, twins, doubles, three bed, and four bed rooms. You can choose from rooms with private attached bathrooms or shared bathrooms. The hostel is located very close to the Green Train of the Boston Subway system and is less than a quarter mile from Exit 18 on interstate 90. This is a great option for travelers who want affordability and convenience in an otherwise expensive city. Rooms are available at a slightly discounted rate if you stay for a week or more. The rooms are well furnished but simple and affordable. If you're looking for a good value then this is a good option. A great hostel for travellers arriving with a car. Backpackers Hostel and Pub is actually located just outside of Boston's downtown area. It's about four subway stops from Haymarket and is in a newly renovated building that has more space and amenities than what you might fine downtown for the same price. The hostel's closest subway station is Wellington Station, on the Orange Line. It's about a fifteen minute walk away, but there's also a free shuttle that you can take as well. Almost all of the city's top sights and attractions are accessible by public transit. This is also a great hostel if you happen to be arriving in Boston with a car. It's set back enough from the city that you can avoid the hassle of driving downtown. They offer parking for $5 a day and once you arrive you can use the shuttle and public transit to travel anywhere you might want without the hassle of sitting in traffic. This hostel has eight and ten bed dorms that include female only, male only, and co-ed rooms.